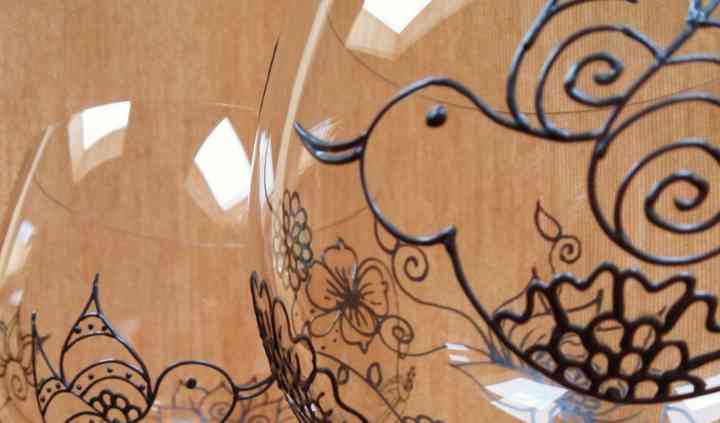 Mehndi Glass is located in Long Sault, Ontario. 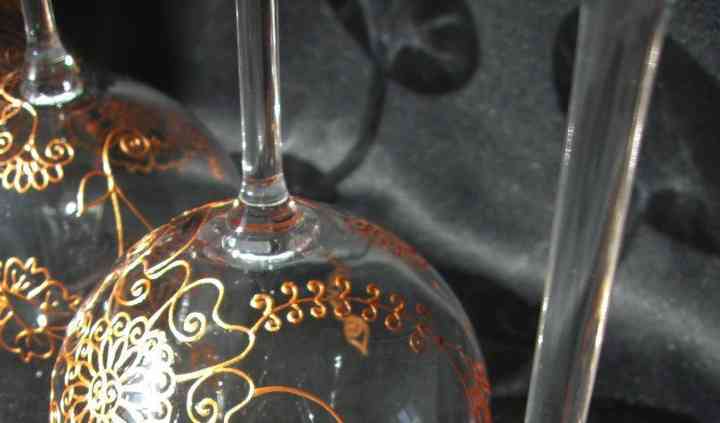 The company provides unique glass products to give as gifts for any occasion. Mehndi Glass is created by Lesley McDougall in the traditional Henna style and can represent and symbolize a number of things, including new life, new love, freedom, strength, knowledge, devotion, and more. Lesley's creativity is meant to inspire and commemorate special events. Lesley delivers to both the US and Canadian destinations. Lesley has more than 15 years in the hospitality industry, working for high-class restaurants and luxury hotels. She is a firm believer in quality products and customer service. Lesley has experience creating watercolors and oils, creating jewelry, quilting, and decoupage. Her Mehndi experience spans over a six-year period. Lesley's style mixes traditional Henna techniques and designs with whimsical twists. 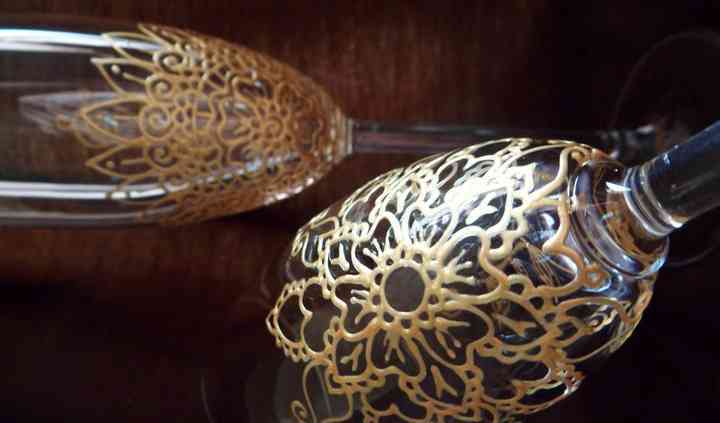 She has made hundreds of different glassware sets for weddings alone. Ontario customers receive their orders two to three days after Lesley sends them out. Other destinations range from five to eight days. US orders ranging from two to six glasses are shipped by Canada Post Tracked Expedited Delivery. Canadian orders are shipped via small, tracked packet Canada Post. Custom and personalized orders cannot be returned or refunded; however, all other products can be refunded if Lesley is contacted within seven days of the order arrival and returned in original conditions. 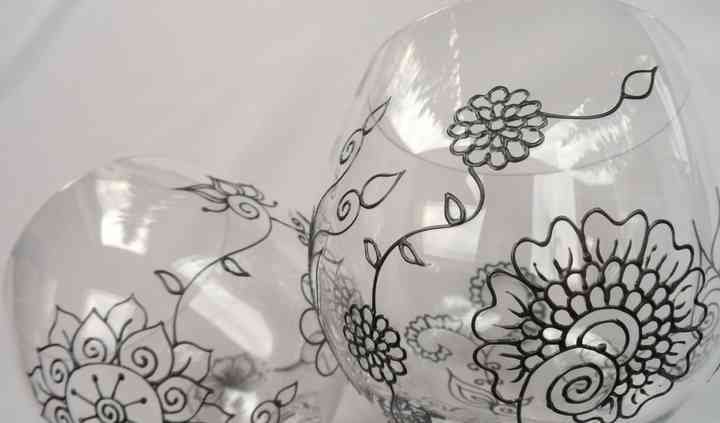 Lesley will provide custom Mehndi glassware for Bollywood and Mehndi parties. She also creates items for gifts. Her work can be used at rites of passages, graduations, and other important and meaningful celebrations.